People will no longer have the right to live in their council home for life in future after ministers moved to impose a five-year limit on new tenancies. Amendments to the bill moved on December 9th represent a further nail in the coffin of social housing. Secure tenancies are granted by councils, and had previously offered tenants a lifelong home which could be inherited by their next of kin. They will not apply to existing tenants. If passed on to a family member, the tenancy will be converted to a fixed term. The changes mean that new tenancies will be issued for between two and five years. When each term ends the tenancy will be reviewed and potentially the tenants may be evicted. Inside Housing quotes Martyn Kingsford of the Tenants’ and Residents’ Organisations of England (TAROE) as saying: “This government policy will change the nature of communities, increase the work load of hard-pressed housing officers and create tension between landlords and tenants.” Labour have condemned the move as likely to break up communities. The bill also introduces ‘Pay to stay’: social tenants in households with an income of over £30,000 a year or £40,000 in London will have to pay market rent. In another new government measure, investment in new housing is being switched from social rented housing to ‘starter homes’ for sale that can cost up to £450,000. This is likely to push up house prices and shares in house building companies and estate agents such as Foxtons rocketed when the policy was announced. And 'right to buy' for housing associations wil reduce the social housing stock further while boosting 'buy to let'. 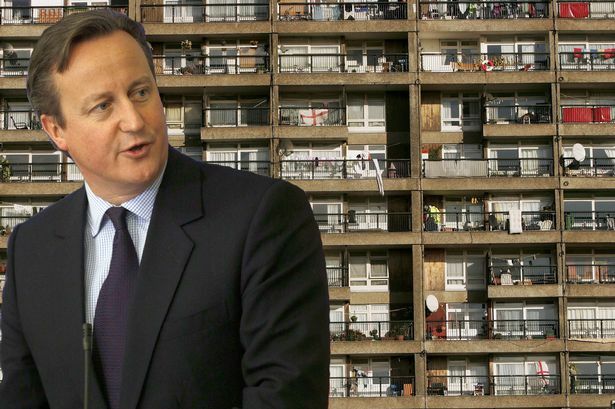 The government are working to make the already desperate housing crisis worse at a time when anger about it is rising. 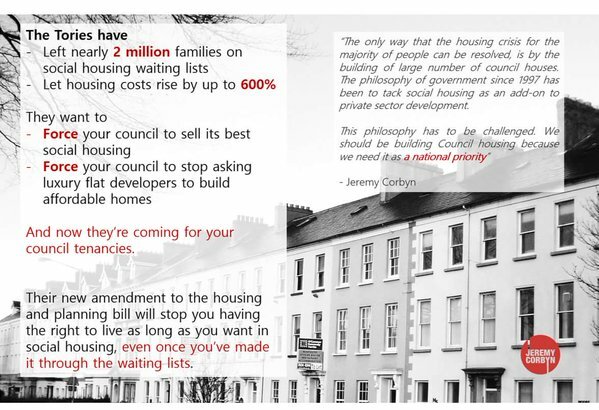 An important part of the atraction of Jeremy Corbyns campaign for the Labour leadership was his housing policies. 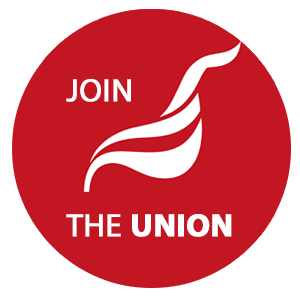 Suzanne Muna, our branch secretary and an elected member of Unites executive has called for the union to build on its work on housing to support a major campaign on housing. Workers in social housing organisations will be keen to play an active role, working with others to fight for social housing. There has been widespread critical comment about this measure. 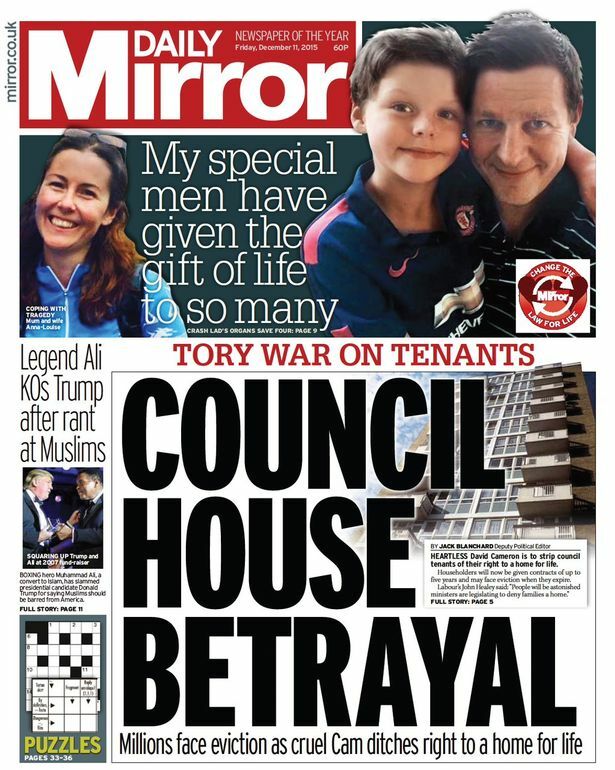 See this coverage from the Daily Mirror for example: Anger is mounting against millionaire David Cameron for stripping the right from council tenants. Will it affect you?